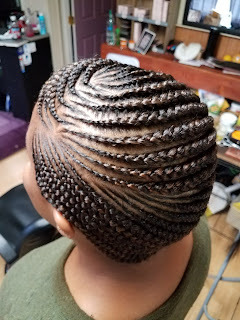 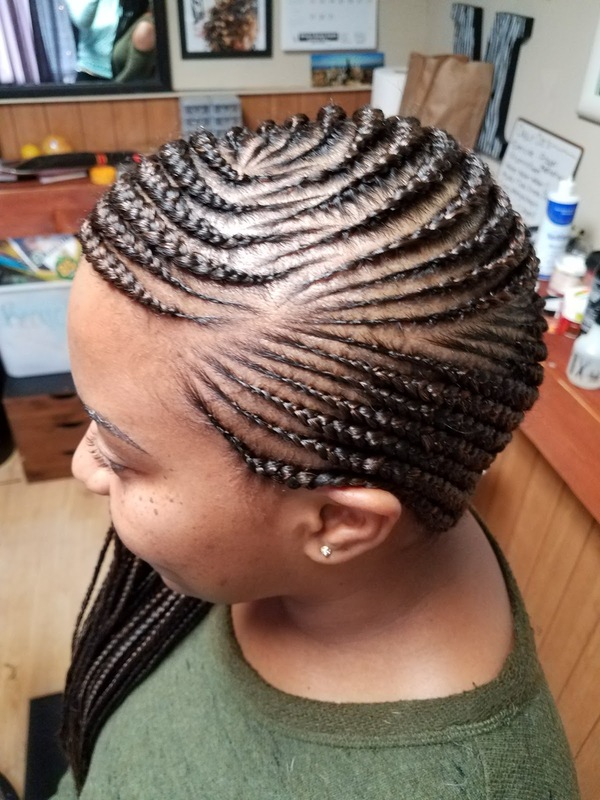 A few weeks ago I reached a point where I was absolutely OVER doing my hair, so I scheduled an appointment with my favorite Seattle braider, Michelle of Natural Legacies Salon in Burien, WA. 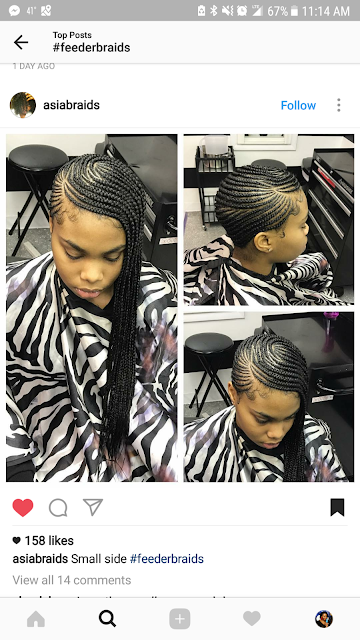 I knew I wanted something that would last a few weeks, so I opted for this cool cornrow style I found on Instagram. Thank God for that bookmark feature because it makes it super easy to save styles I like. 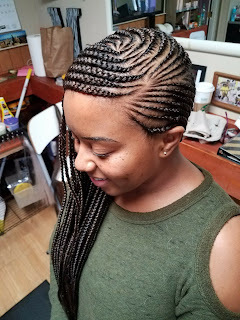 I have so many hair and nail art options saved... wish I could try them all. If you'd like to re-create this style, ask for "natural start" or "feeder" cornrows and show the design. 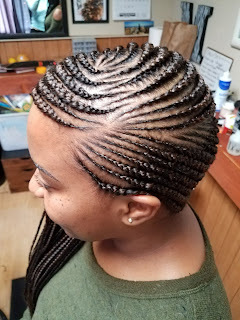 I am a huge fan of natural start (instead of that hideous big bump cornrows sometimes have) because it seems to be easier on my edges and naturally blends in your hair with the extensions. 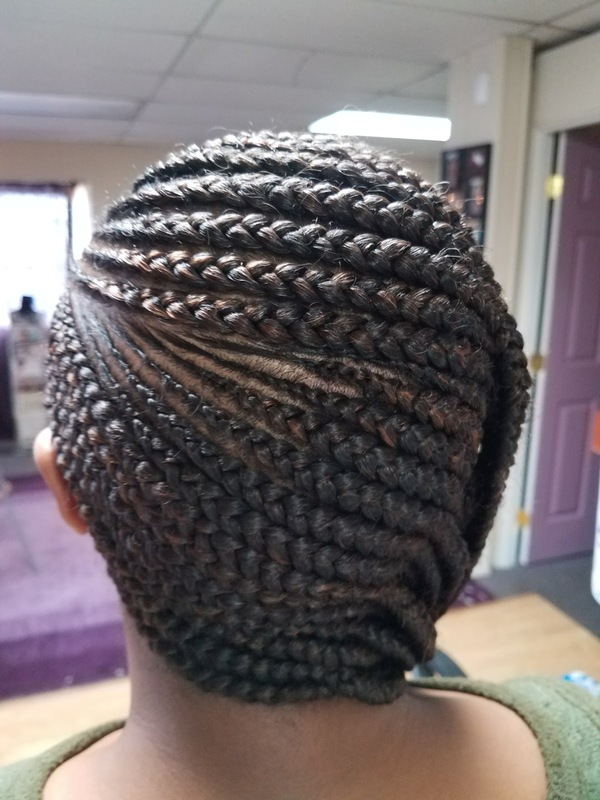 It took Michelle about 4 hours to do this style on me and I think we used about 4 bags of hair.